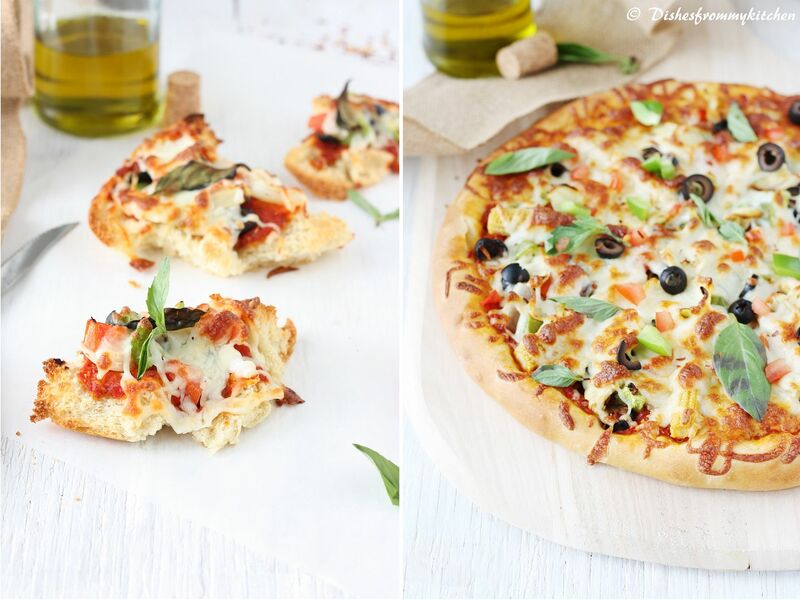 Dishesfrommykitchen: PIZZA BITES - GOOD & DISASTER WHICH ONE DO YOU WANT ??? 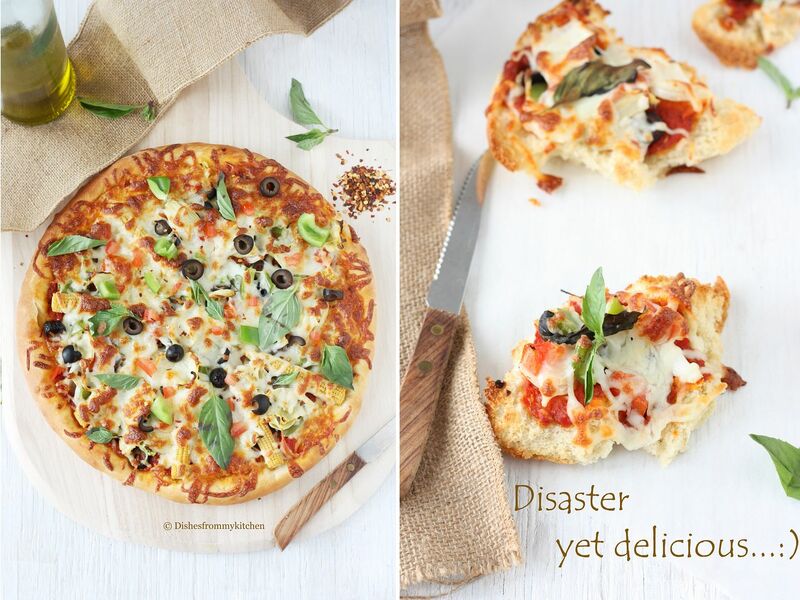 PIZZA BITES - GOOD & DISASTER WHICH ONE DO YOU WANT ??? But few changes while making the thick crust comes out super yummy and we are loving it a lot. 1. I add less yeast and proof the dough for extra 1 hour. 2. Seasoning the crust with Spice and herbs. I planned to make 2 pizzas for our Sunday Lunch. I mixed the dough and divided them to 2 equal parts and kept them for rising in the oven (turned off). Usually I keep few of my baking trays in the oven, ha ha I use my Oven for double purpose both for baking and storing the baking trays. After couple of hours I took all the baking trays out and one of the dough for topping. While I was making topping for one pizza, without realizing about the other dough I switched on the oven for preheating(preheated to 425F for nearly 20 minutes). When I opened the oven to put the pizza for baking I got to see the other dough. When I saw the dough it already rised to 4 times bigger than the original one with a crusty bottomL. I just don't want to waste it. Bling !!! I made it to small pieces, topped with sauce, toppings and baked it. To my surprise it came out very very yummy like Bruschetta and we enjoyed it a lot. B.Pizza in a cup and thick crust pizza with pesto and yummy toppings. 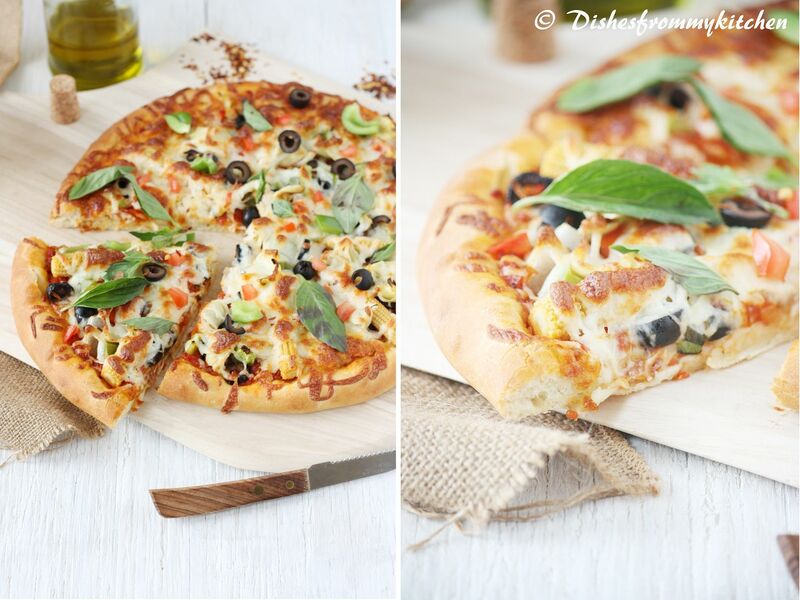 The Pizza dough recipe which I am posting today is altered little bit to the recipe which I have posted earlier. This recipe is a keeper. Few changes while making the thick crust comes out super yummy and we love it a lot. 2.In a bowl mix all the ingredients together. Stir the yeast water mixture using a spoon and now add to the flour mixture. 3.Make dough and knead it for 8 to 10 minutes until you get soft and smooth ball(knead it really well but fast). If you have a mixer with a dough hook, knead the ingredients on low for about five minutes with the dough hook. 4. Now divide the dough to 2 equal parts and roll into a ball. 5. Place the dough balls into the oiled bowls. 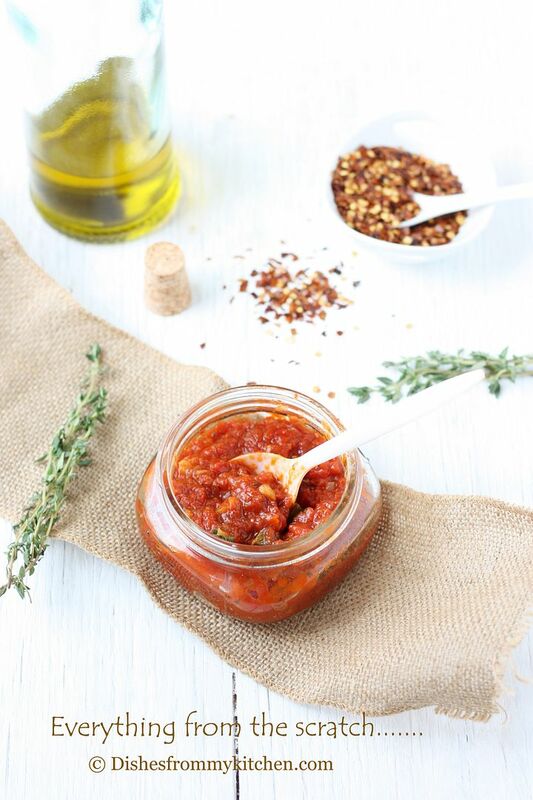 Now brush the dough with little olive oil to avoid cracking or drying. 6. Close it with the lid or the plastic wrap and keep it in the warm place. I usually keep them in the oven(turned off). 8. Now preheat the oven to 425 degree Fahrenheit, while the oven is preheating, get ready for rolling and topping. 9. Sprinkle some flour onto the counter or board, take one ball and dust with little flour. Using rolling pin make 10 inch circle/disc or if you are using your hand use your finger tips to make a well defined edge. Use a press and stretch sort of technique. Try to have the dough even all the way through without making it too thin in the middle. 10. Now brush rolled pizza dough with the Olive oil. 11. Top them with your favorite sauce and toppings. 12. 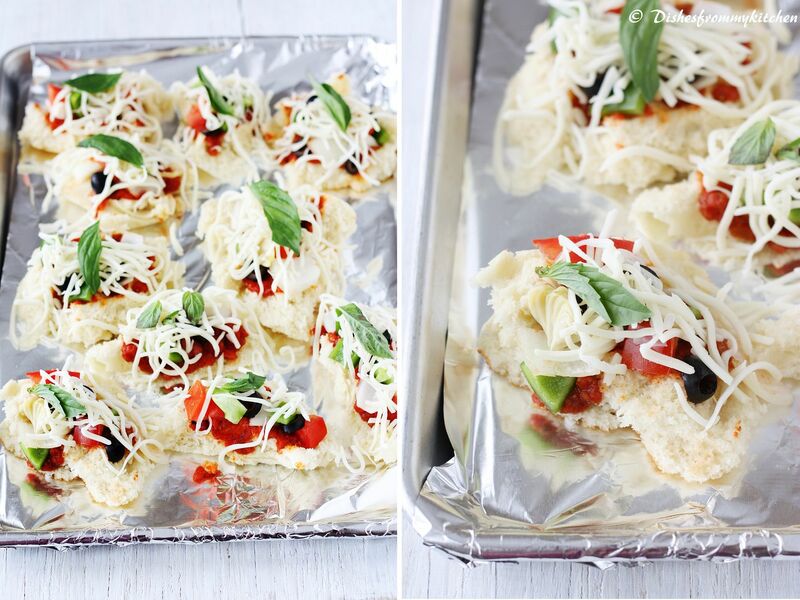 Bake them in the lower rack for 20-25 minutes until the crust turns golden brown and cheese melts and becomes bubbly. This sauce will be enough for two 10" thick crust pizza. 1. Heat oil in the pan, add the garlic and onion. Saute till slight brown. 2. Now add the pureed tomato. Let it cook for some time until it becomes little thick. 3. Now add all other ingredients. Mix well and finish it with chopped fresh Basil. 4. Cool it and store in the air tight container. Use when needed. 1. Put the pizza stone in the lower rack of the oven and preheat them to 450F for 20 minutes or so. Now get ready for rolling and topping. 2. Sprinkle some flour onto the counter or board, take one ball and dust with little flour. Using rolling pin make 10 inch circle/disc or if you are using hand use your finger tips to make a well defined edge. Use a press and stretch sort of technique. Try to have the dough even all the way through without making it too thin in the middle. 3. Place the rolled Pizza in the pizza peel which is dusted with the flour or cornmeal. 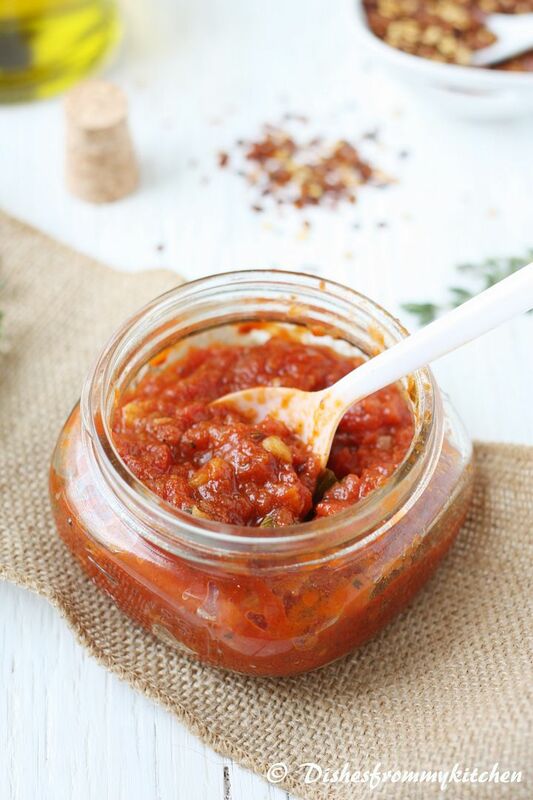 4.Top your pizza with your favorite sauce and topping. 5.When the Pizza is ready with the topping, slide it on the pizza stone. 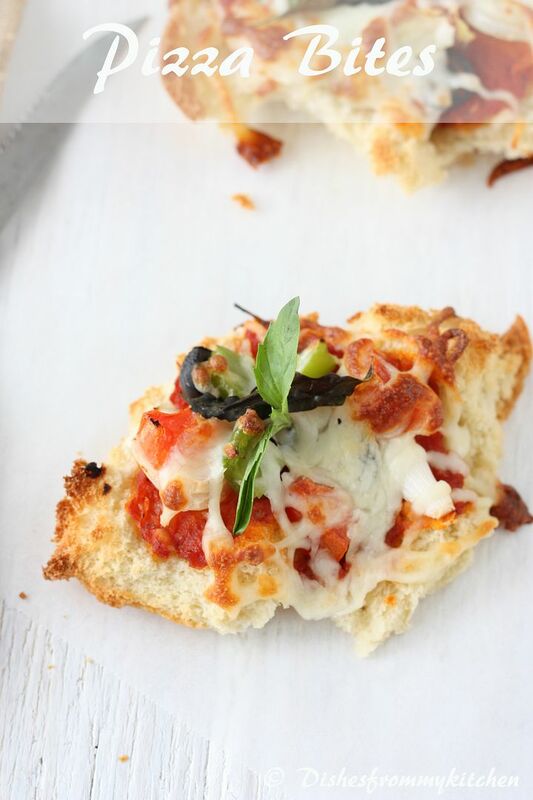 6.Bake it until the crust is golden brown and cheese are melted and bubbly. It takes about 15 to 20 minutes to bake. Cool, Slice and enjoy !!! 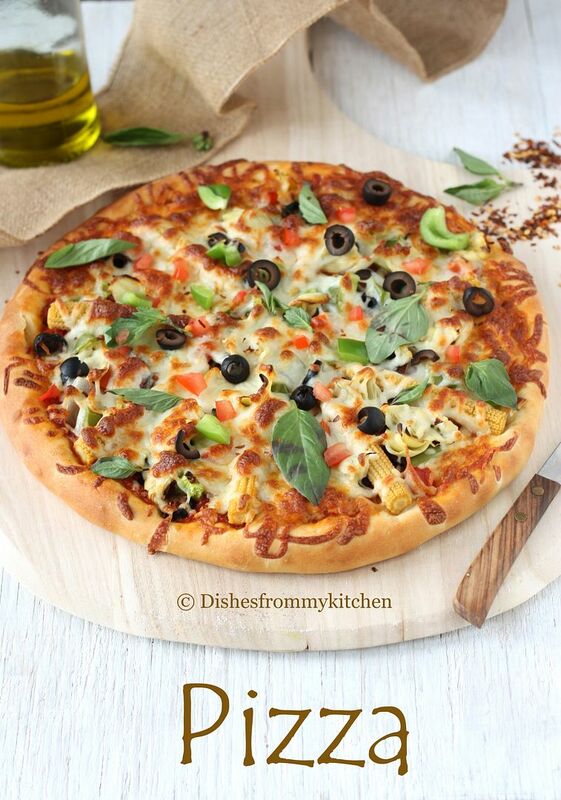 Looks yum and nice flavorful pizza. wow!wonderful pizza post :P pics make it all the more inviting!!! 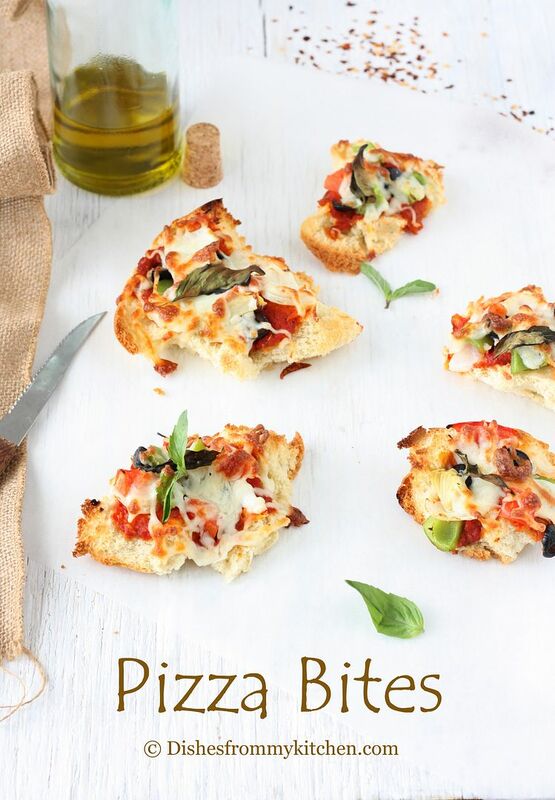 Cant believe its a diaster, simply loving those pizza bites..
Smart idea to convert a near disaster into a tasty bite! Absolutely delicious! Looks wonderful ! I can't believe that it was a disaster...:) Looks super yummy.. I think I should try it to get that crispy base yet with a chewy feel.. Your pics are just as amazing as the recipe..
As alwz wonderful pics and yummy pizza..wow i wish every disaster turns out to be that good.. Honestly both of them looks so yummmmy to me! These are wonderful...love crispy bites like this, such a great idea! And that pizza is just gorgeous! These don't look disasters at all, I especially love the rustic ones. The toppings are all my favorites too! Just saw this on RecipeNewZ. 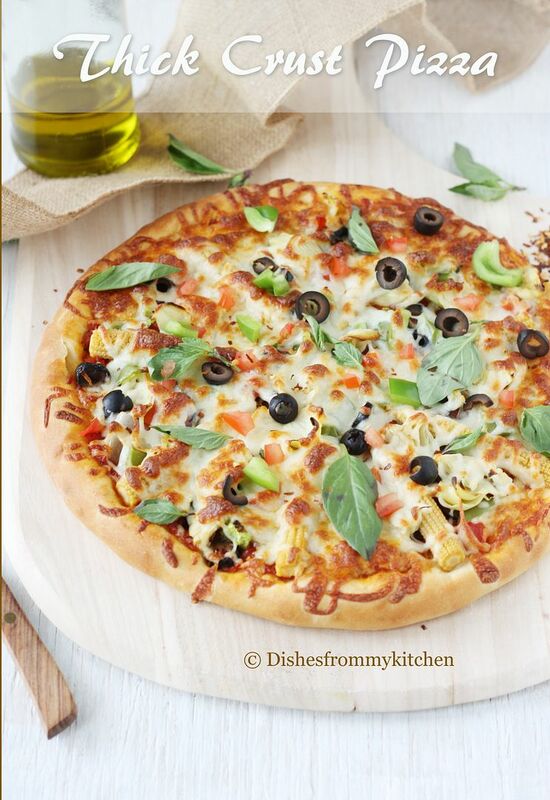 What a lovely way to serve pizza :-). And what a wonderful pizza! I love thick crust. You are brilliant!